« If the Gospel of Mark Condemns Peter, Why Do We Sympathize With Him? Short answer, the one I would give if I had to bet my house on being right: I don’t know. Short answer, but one I would offer at no risk of damages to myself if I am wrong: Probably. After the deaths of both Jesus and Aesop many people are remorseful and a cult was established in honour of the wronged hero. Both Life and the gospels are believed to have been written around the same time — the first century CE or possibly second century CE. If we are doing comparisons one question that will interest many of us will be just how historical the respective narratives are. I won’t attempt to discuss that question in relation to the gospels and Jesus in this post for obvious reasons, so let’s look at Aesop. Wills is looking at origins of gospel genre but Tomas Hägg gives us a more comprehensive survey of Life as an ancient biography so from this point on I rely upon Hägg. Tomas Hägg informs us that the Life of Aesop has been drawn from a number of sources that have somewhat less than perfectly been combined to make the single narrative. One piece of evidence for the diversity of the source material is that different sections of Life give us quite different characters of Aesop. In one section he is sensitive and caring for those around him but in another he is caustic, even abusive. This lack of coherence of character is one sign of quite disparate sources being collated in order to compose the biography. One recalls the scholarly view that the gospels themselves have been stitched together from different sources. The evidence cited is of a different kind, though, I think. In the case of Aesop it seems that different places have had time (if time was what was needed) to produce quite different characters or personalities of the hero. Is any one of these historical or are they all developed to meet the literary agendas of the stories composed in different places? Independent early sources. 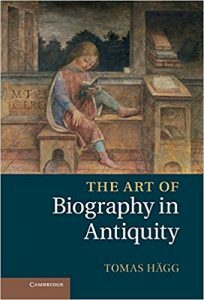 Hägg does not do “triangulation” or “memory refraction” or other types of analysis or literary archaeology to espy a “historical Aesop” behind or beneath the text of the Life of Aesop. I wonder if biblical scholars might suggest to him some of their techniques to see if he can learn more about the “historical Aesop” from the Life alone, without resorting to contradictory independent sources. The Wikipedia article includes among other early sources Aristotle, Callimachus, Plutarch, Phaedrus — though the latter two belonged to the same first century in which Life appears to have been written. As for independent sources, Hägg discusses them more generally earlier when he says that the roots of the traditions about Aesop. I don’t know all of the details of the evidence for Aesop — I have only read the brief overview by Hägg. 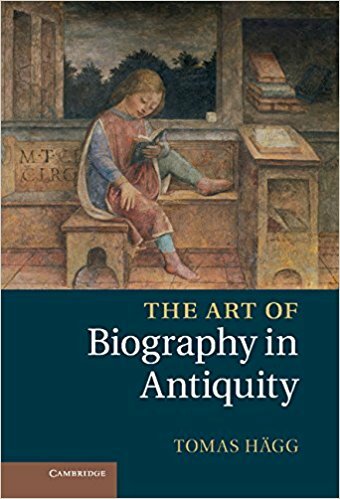 What is significant to me is the fact that he states that he relies upon independent earlier sources for his belief in the historicity of Aesop and not on the first century “biography”. Hägg believes that the stories of Aesop therefore “grew, coalesced, and diversified” for “some six hundred years or more” before being set down in our first century Life of Aesop. Stories about Aesop mushroomed and accordingly the character of Aesop himself lost all consistency as storytellers were keen to add as many new exciting tales as they could. The tales were passed on orally and in prose, not poems, it appears, since Plato describes Socrates attempting to write them out in verse as if that had not been done before. I think it is interesting to see what scholars of ancient persons who were not high and mighty political or military figures have to say about their historicity. Aesop was by all accounts a slave at the start of his career. Not only a slave but a very ugly one, so misshapen that people who saw him for the first time would sometimes publicly laugh at him. 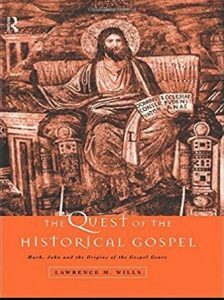 So it is interesting, I think, to see the grounds on which they tend to think such a person to be historical or not, notwithstanding the essentially fictional character of a biography that has so much in common with two of our gospels. Posted on 2017-08-08 16:35:59 GMT+0000 by Neil Godfrey. This entry was posted in Greco-Roman Biography, Historical Methods and tagged Aesop, Historical Method. Bookmark the permalink. Well now, to paraphrase apologists I’ve read, both are correct, Nectanebo just wasn’t Pharoah yet in the sixth century and the author got his title wrong. Either that or Croesus was in his second term as ruler of Lydia in the fourth century. That Wills finds Aesop’s Life to be the “most important” comparison to Mark & John is interesting, but it leads me to wonder (not having read Wills’ book) whether his point is going to be a reification by means of analogy, i.e., “as with Aesop, so with Jesus,” leading to an equivalency. The only reason we are interested in Aesop at all is because someone or something called Aesop wrote the Fables, which we have. One could argue that someone or something composed the Beatitudes, which we have, and we are therefore interested in this entity for the same reason, but the Beatitudes come to us second-hand, in the account of the Life. This may be a minor discrepancy. One could always have released a separate edition of “The Beatitudes” by Jesus Christ, I suppose. But we are left with the formal discrepancies between a gospel and a Life of Aesop. (I confess I have not read Life of Aesop.) Ultimately, if you take the approach of Thos. Jefferson, you decide that what matters is the work and not the author. Thus, we have the “Jefferson Bible,” which consists exclusively of the sayings of JC, since this is all that can be attributed to him, unless you’re willing to believe the miracles. Whether there was a JC who actually composed or whether someone else did, you still have them, just as you have the Fables, and that can’t be denied. It is a long time since I read Wills (I only skimmed sections of his book again for the above post) but if it is relevant to your point, I believe he is arguing primarily about the literary structures and not the characterization of the central characters. You are spot on when you point out the differences between the figures of Jesus and Aesop. . . .
Aesop as a person is definitely the subject of Life of Aesop: we are constantly reminded of his physical appearance, and we are amused and shocked over his attitudes expressed towards those around him, and so forth. I don’t think that Mark gives us any reason to have any personal sympathy for Jesus. He goes to the cross but that’s his calling and duty. We don’t really feel for him for any literary reason. Maybe if we do it is because we are tapping in to our inner beliefs and faith rather than the story on the page. Even his “let this cup pass from me” is arms-length from us and is not sufficient to inspire a deep response. In fact we sort of want and need Jesus to die because that’s what he came to do. Aesop, by contrast, pleads for his life in multiple ways with multiple fables, and we can feel his desperation at the end. Again, I find it difficult to accept that the Gospel of Mark is “about” Jesus as a person at all. It is about a theological cipher and instructional mouthpiece and symbolic actant. Thinking back on my above reply and realizing I surely overstated the sympathy or feeling the author seeks to elicit in readers for Jesus. Jesus does pray not once but twice for the cup to be removed and says openly that he is in deep distress. Earlier, at least once, he is said to be “angry” as a consequence of unbelief and hard-heartedness of others; he also has compassion for the multitudes who seemed to him to be like sheep looking for a shepherd; and just prior to that he demonstrates compassion for his disciples by inviting them to follow him for a rest after seeing they were so harassed they had no time to even eat. So there are moments of feeling attributed to Jesus, and if that’s how an author invites his readers to feel for his characters, we can conclude this is what Mark is trying to do. I think, however, Mark only dimly “succeeds”. Our feelings for Jesus as a feeling human being are not strong, not as strong as they are for Peter who weeps over his failure, is said to have a willing spirit but weak flesh, etc. I wonder if the reason we (the readers) don’t have strong feelings for Jesus as a human is because his feelings are doctrinal, they are fulfilment of the Suffering Servant motif, they are what Jesus is meant to feel — the good shepherd, the suffering servant, the voice of the psalms. Peter is struggling, he is confused; but Jesus is in control and doing exactly what he came to do, and that includes expressing the same sorrow and compassion as is expected of his role. Maybe its because Jesus wasn’t supposedly human? And besides, it was all HIS own plan so why feel sorry for someone succeeding? I agree that there is a certain woodenness to Jesus in the scenes you describe, but it seems that when you take the compassionate teachings together with the idea of a very good man (who is actually “God with us”) and then you depict him being unjustly tortured and killed, this evokes a very strong sympathy for the character among both readers and consumers of movies such as “The Passion of the Christ”, which is sympathy for a suffering human being. I saw “The Passion” and a teenage boy sitting a few feet away covered his eyes during the scourging, and seemed to be groaning, if not weeping. It was either Octavio Paz, or a teacher of mine who also said that the Mexican identifies with the crucified Jesus because “He suffers.” Getting back to the idea of a “biography,” though; as you know, many of us –probably most on this site– do not consider the gospels to be biographies, but myths. Your comment, coming at the same time I am reading about the way the Jesus story has been elaborated and expanded in all sorts of directions by imaginative artists (not only literary ones), forgers, and now scholars — I wonder how much of that deep feeling comes from elaborations to the Jesus story. I have not seen the Passion of Christ but I am sure it adds much more emotive detail than the gospels present. The gospels downplay, even gloss over, the torment of the cross itself. I listen to emotional preachers and watch their near-swooning audiences talk about Jesus — but it’s an exaggeration and imaginative additions to what’s in the gospels that they are swooning and gasping over, or its a manufactured swoon or ecstasy. Certainly the story itself of the just man suffering unjustly evokes an emotional reaction in us. Just the concept is enough to do that — like the word “betrayal” or “conspiracy”. Some plot devices (“memes”?!) bring emotional responses with them, and to that extent we feel for the fate of Jesus. Maybe I’m just a cold heard-hearted soul, but sure I felt a pious sympathy for Jesus, but everybody knows he is going to be resurrected in a few hours so it’s not as though we have a tragic ending. We know he’s just going through the hard and unfair bit at that moment. As a believer I seem to recall having to sometimes do a lot of meditation to kind of force my brain to “feel deeply” for what Jesus went through. That meant supplying a lot of imaginative detail that I presume the Passion movie added. I hope I’m not sounding contradictory over what may be obvious points to you. I guess I’m still thinking it all through and this comment is a “thinking out loud, very quietly with heavy keyboard taps”. ; as you know, many of us –probably most on this site– do not consider the gospels to be biographies, but myths.